Another year in the history books and with it an opportunity to wipe the slate clean and start anew. It’s time for resolutions. We’ve written a few sailing-specific possibilities for those who don’t already have their own list. Happy New Year from all of us at ASA! It’s there… you’ve seen it. You’re pretty sure it bends something to make something else work better. Oh no wait, it’s for off the wind performance… or maybe upwind? Hard to remember. Anyway, you should figure that out. 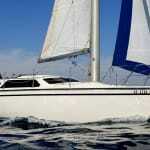 You’ve read in some sailing books that you should know how to heave to. You put the head sail one way and the main the other, you lock the tiller? No, you leave the tiller free. Wait – I backwind the jib? Do I know how to backwind? One thing you do know is heaving to is something you can use in heavier winds to take a break but also to relax and have a spot of tea on a daysail. Maybe you knew that, maybe you didn’t – either way, learning to effectively heave to is a great new years resolution. You’ve noticed the lines dangling from your sail and because you’re inquisitive you’ve found out they are called reef lines. You have also gone to the trouble of finding out that when winds get strong you can use these little babies to shorten your sail, and depower the boat, thus making life manageable in windy conditions. However, you haven’t done it yet. You’ve been meaning to and you sort of wish you had that time when it got up to 20 knots and you sailed into port with the leeward rail completely submerged as your girlfriend quietly wept. Yes, 2016 should be your “learn to reef” year. It’s windy up there. Maybe you’ve been to the spreaders to change a bulb but have yet to dangle, wrench in hand, at the tippy top. A sailor should know every inch of the boat, but that lonely assent aloft has yet to be explored. Does climbing the mast validate you as a true sailor? Nah, but there’s something about it. This is the year – triple check the shackles, have a friend spot you and head up north! The last 10 times you’ve gone out sailing you’ve tacked 6 times… total. You thought about jibing once but reconsidered because the plate of cheese might fall off the table. 2016 will be different. It’s time to test your skills and take an overnighter, or trailer that baby to a new spot or charter in a place you’ve always dreamt of. The fun of sailing is it allows us to experience all these different environments in such a special way. 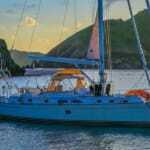 Sailing in new grounds will stretch your abilities and it’s a guarantee you will be rewarded with experiences that are sure to last forever. Do it this year. Sail in a brand new scene – you will not regret it. RORC Volvo Round Ireland? 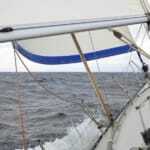 A little known sailing challenge that rounds Fastnet, Tusker, and all the islands of Ireland. Tide gates and tricky sailing. “What Boomvang does”. “Reefing” Really? You can do better than that!